Earn up to 6,490 reward points. Professional quality bag for bass. Each Mooradian bag is designed to be comfortable to carry your instrument and protect it from everyday wear and tear. Professional musicians and students count on Mooradian for the highest quality gig bags and covers. This one is a deluxe model, cut for 1/2 double bass. Deluxe Models available in black, silver, blue and burgundy. Mooradian's Deluxe Bags are sized to fit any bass. They come in small, medium and large. 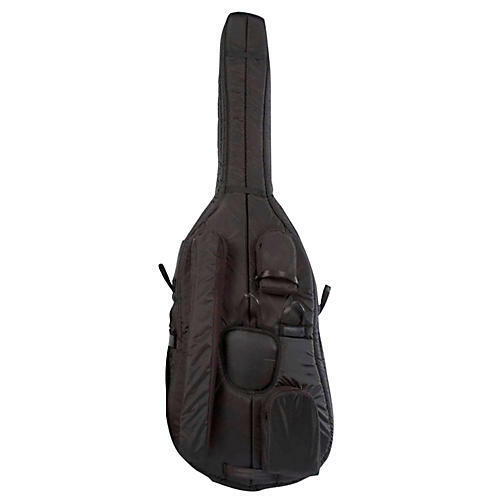 These bags are for the musician who needs more protection (higher priced bass or you're taking your bass out at least once a week.) They have a higher quality polyester fabric and more padding. The zipper guard goes all the way around the zipper. The shoulder is heavily padded. Interior zipper and pin guard. Order now and transport your instrument safely and easily.